Sports and music are often inseparable—that is, if your headphones actually stay put during your workout! BOSE promises not to leave you hanging with their new solid and sweat-resistant SIE2 headphones. 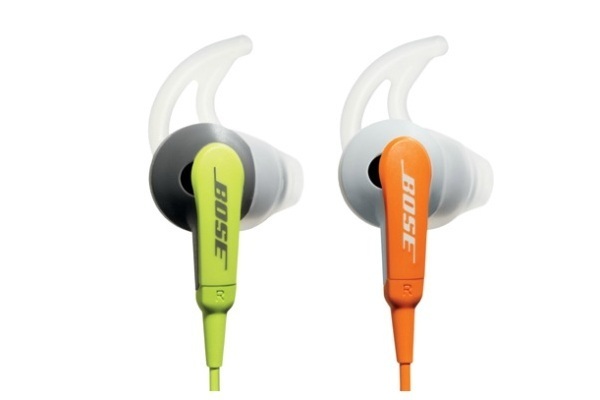 BOSE is an undisputed leader in sound quality, and with the SIE2, the American company intends to extend the extra crisp sound of their bigger headphones to these smaller ones, especially designed for exercising. The SIE2, priced at $139, can easily withstand sweat and the elements. No matter how much you move around, the ear tips will stay in place thanks to BOSE’s trademark StayHear design. To top it all off, they come with an added bonus: a Reebok fitness armband to hold your music player. Add $20 and get the SIE2i model equipped with a remote control and a microphone so you can keep socializing while you train.